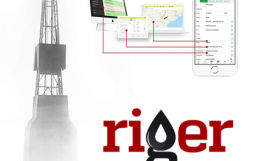 We received many questions about RigER Cloud Security. It’s time to answer most frequent of them. 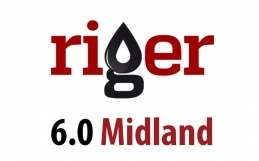 RigER is developed on 1C:Enterprise platform. 1C:Enterprise is a universal cloud and on-premise system of programs for automating a company’s financial and operational activities. 1C:Enterprise has a wide range of capabilities to address diverse needs of today’s business in any industry. 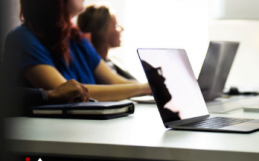 It is achieved through “configurability” – the ability to customize the system based on the specific needs of companies and their business processes. Provides complete openness of UI (User Interface) and solution code, which allows better understanding and modification of business processes. Is ready for integration with third-party systems. Supports web-services, ODBC, COM, etc. Includes on-premise or managed hosting, web-based delivery, as well as Web, Tablet, or Windows client. RigER Cloud solution enables worldwide access on a variety of client devices that are run on different operating systems. Clients can use devices with low computing power and mobile devices accessing RigER via Web Client or Thin Client. All major computations and application logic are executed on a RigER server cluster, which ensures scalability, fault tolerance, dynamic load balancing. The server cluster can be extended with SaaS infrastructure, which enables provisioning of applications to clients in the software-as-a-service (SaaS) model, consumption management, general service administration, and more. HTTP (HTTPS) connection to applications, which ensures worldwide access over the Internet. Web client eliminates the need to install an application on a client computer. It provides access to applications from a variety of devices, including mobile ones. Fault-tolerant and scalable server cluster supports a large number of concurrent users. Multi-tenancy support, powered by data separation platform feature, enables the use of a single application instance by multiple customers. SaaS infrastructure enables software-as-a-service provisioning of 1C:Enterprise applications. Application vendors can manage SaaS delivery of their applications, providing web access to customers. This model eliminates installation, update, hardware and software costs for customers, as they only pay for using the service. The cryptography feature allows RigER to perform cryptographic operations while processing InfoBase data. This functionality does not contain proprietary implementations of cryptographic algorithms. Instead, it provides a set of objects for interaction with external third-party cryptographic modules (cryptographic service providers). On the Windows operating system, CryptoAPI is used to interact with cryptographic service providers. RigER can therefore interact with any cryptographic service provider that supports CryptoAPI.